If it is a frozen drink blender you seek, you have come to the right place. This is going to be a super fun guide – I can’t wait to show you what we found when it comes to these amazing machines. I knew I had to do a review about the best blender for ice & frozen drinks because last summer, our family went on vacation. And when I tell you that I had the best margaritas, banana daiquiris, and smoothies you can imagine, I am not lying. I knew I had to recreate that amazing flavor from the beachside cafe. I missed how tasty those margaritas with salt on the rim were! And the little kids in our family were busy sipping fruit smoothies that tasted just so very sweet and refreshing. Yes, it’s definitely critical that I- and you-get our hands on a great iced smoothie maker so we can have the best refreshments available on hand. So, don’t be shy! Come with us on this journey to review the very best in blenders for ice & frozen drinks. You will surely find an appliance that you love, fits well in your kitchen, and serves your family for years to come. Why Should I Care About Getting the Best Blender for Frozen Drinks? We should start by saying that the purpose of this article is not to sell you anything you don’t want or need. 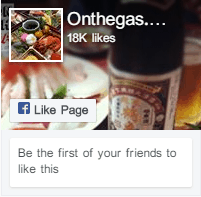 We are just here to show you what’s out there, so you can decide for yourself. The purpose of owning an ice crushing blender is that you want to be able to make a nice, cool and refreshing drink on a hot day, really. Chances are you have had the pleasure of enjoying a treat when you were at a carnival, outdoor festival, or neighborhood party. Some of these treats take the form of frozen smoothies, sno-cones, or for us grown-ups, frozen mixed drinks. They taste great and make for a nice pick-me-up when it’s hot outside. Heck, even when it’s cold and snowy, it can be fun to make them and reminisce about summer days. This is also a nice way to step up the game when it comes to having guests over. Imagine the delight your friends and family will get when they see you coming around the corner with some nice fruit smoothies, daiquiris, or slushies. The magic of your personal blender for ice will definitely shine through when everybody sits around, chatting and sipping on the tasty creation that you’ve whipped up right in your own kitchen. Lastly, this may be your ticket to kicking off a healthy lifestyle. By having a blender that can crush ice with ease, you can put some ice, fruit, and yogurt into the blender and make yourself some tasty smoothies for lunch and breakfast. They will be much healthier than a sugary bowl of cereal or fast-food breakfast sandwich, and you will feel good about yourself for making a smart choice. You can even make some nice fruit smoothies for your kids to enjoy as a healthy after-school snack. My personal favorite smoothie blend is one that makes me feel like I am living in luxury at the spa. That’s because it is called the “Spa Cucumber smoothie.” You blend up cucumber, lime, water, and ice along with 1-2 tablespoons of honey or sugar and sip away. It is oh so refreshing and good for you too! 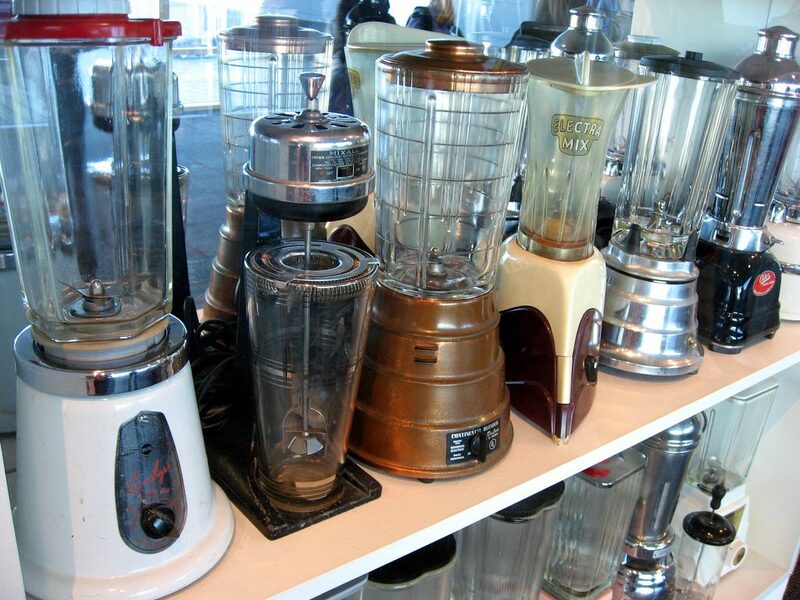 So, without further ado, let’s take a look at some great blenders! At Dash, the philosophy is that taking small steps every day to live a healthier life can have a huge positive impact on you overall. One way to do this is by eating whole, real, and healthy foods, like fruits and vegetables. This particular blendermakes it especially easy for you to prepare, consume, and enjoy these delicious foods right at home. It leads to feeling your best and feeling healthy. The first thing that you will notice about this cute blender is that it comes in a rainbow of colors. The colors are unique and fun and will match any kitchen to a tee. Personally, I think the Tiffany blue one is the coolest color. But color doesn’t even matter when it comes to this great appliance. What does count is the sheer power that this machine contains. 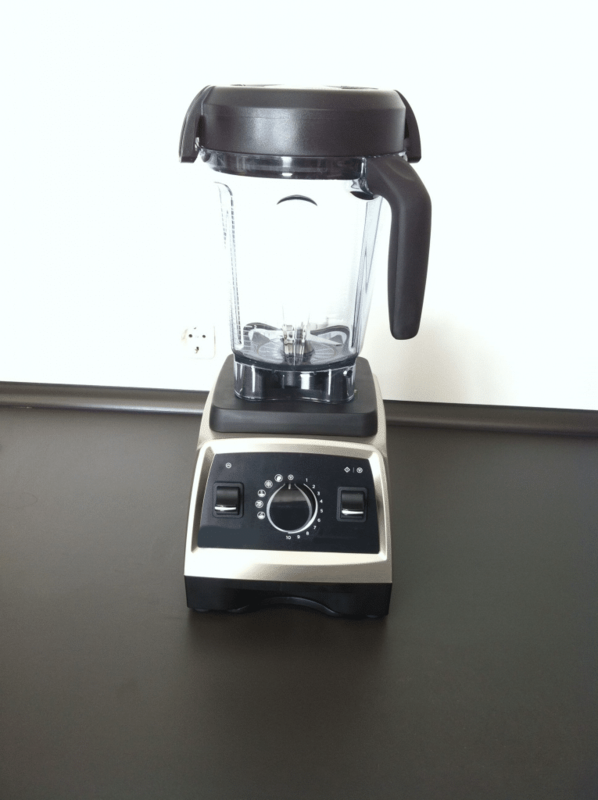 This blender features 1400 watts of power, and a motor with 2.25 Peak HP. That’s a big deal for a little machine like a blender! Torque, or turning power, is also strong here. We’re talking 35,000 RPM. Your fruits of choice don’t stand a chance in this thing! You also get eight great preset functions on this blender. They include rinse, puree, soup, smoothie, ice crush, frozen, manual and pulse. No matter what texture you need for your beverage or food, this blender can deliver. The Japanese blades are made of quality stainless steel. There are six of them altogether and they chop, grind, dice, puree and juice with ease. It all happens inside the 64-ounce Tritan blending jar. With a Tritan jar, it’s basically unbreakable-so us clumsy people can take comfort in that. After you get done whipping up smoothies for the gang, take it to the next level. 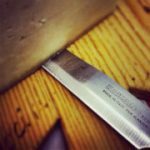 This thing is pure power-so use it to make yourself hummus out of chickpeas, homemade nut butters, soups, sauces, and anything else you can think of. You can even make some tasty cheese fondue in this blender. Great self-cleaning function on this blender. After you are done blending, fill the blending jar with soapy water, hit the rinse function, and let it clean itself out. Easy as pie! Comes with a great little recipe book to help get you started, inspired, and making delicious unprocessed foods for the whole family. Very large in its size-it’s power and serving capability are suitable for a family with many to feed. Not rated for 220V outlets, as found in Europe. Customers not in North America will need a transformer. Blender is very loud-this may be off-putting to some. Blender may not fit in some smaller kitchens due to its large size. Whenever you hear the name “Ninja” when speaking about great blenders, your ears should perk up. That’s because the Ninja brand is synonymous with great quality and power. As a matter of fact, this particular blender is part of Ninja’s professional series, and it definitely lives up to its name. This Ninja Professional blender is one of the best blender for margaritas & daiquiris as it features 1000 watts of power. The Total Crushing Blades contained within the machine make certain that you get the very best in crushing, blending, controlled processing, and pureeing. The way your ice turns out will be perfect for whatever recipe you are preparing. And the blending jar is great for those of us with big appetites or families. It is a 72-ounce jar, is BPA free, and is also dishwasher safe. Talk about an easy cleanup! Another great thing about this appliance is the Total Crushing Technology contained within. 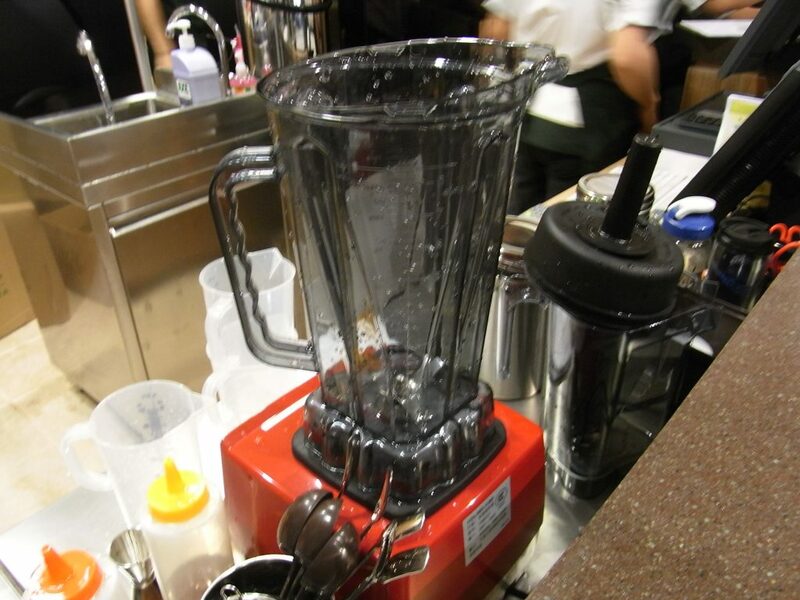 The phrase “crushed it!” probably came from this blender. (Just kidding!) But seriously, between the blades and the technology, any ice, frozen fruits, or vegetables you put inside this thing don’t have a chance. They will be pulverized and pureed into the tastiest drink you ever wished for. In just mere seconds, you can have a healthy and delicious smoothie. Even if you would like to make sno-cones or margaritas for the group, this blender can and will help you out. It turns ice into snow in just a few seconds, and you can even make other foods with it, too-hummus, soups, guacamole, or salsas. The sky’s the limit with this Ninja! Includes a great recipe book to help get you started making tasty drinks. Blending jar is made of plastic, so if you drop it, you have no worries. Only 17 inches from top to bottom in measurement-will fit well in most kitchens. Does not come with the 16 oz Nutri-Ninja cups for you on-the-go smoothie drinkers. Few users complain about this blender being rather loud. Cord is rather short, and this makes it hard to use comfortably. If the ability to “do it all” is what you seek in a blender, then we have the right one here for you! This blender can do everything you need it to do. It is a food processor, blender, and overall great machine for making foods accessible and healthier for all. This is a commercial-grade blender, so this combines the power of a smoothie-bar blender with the beauty of a household appliance. It’s got a nice, slick design that looks innocuous and beautiful on your kitchen counter, but surprises and delights many who turn it on and watch it go! No matter who you have in your family, this blender can help you out. You can enjoy making baby food inside this blender for your infant to ensure he or she gets the finest nutrients. You can puree various foods and blend ingredients together for hot soups or people who need to eat their food as a liquid. You can crush some ice up and use it to make your favorite smoothies and slushies. You can even pour in some batter or dough and mix that up too if you enjoy baking. This Aimores blender adopts the same technology and concept as used in the Vitamix blenders-the E310 to be exact. The concept is simple: Create a blender with simple operation and professional results. The design not only looks good, but it is also practical too. You get six sharp stainless-steel blades that cut through fruits, veggies and anything else you put in there with ease. The blades are two horn sharp blades, 2 serrated sharp blades that have a downward end, and 2 prolong sharp blades that have an upward end. This variety of cutting mechanisms ensures a smooth, even blend of all ingredients, making for a well-textured smoothie. The motor runs on the following settings: 20,000 RPM on low, 25,000 RPM on middle power, and 28,000 RPM on high. The blender puts out an amazing 1100 watts of power. No chunks of food will get caught in the blender jar with these blades turned in different directions-rather, everything will be blended smoothly and evenly. This machine also takes safety seriously, which is a relief. This commercial blender comes with a cool-running motor, which maintains even torque and coil temps. This means the power is constantly delivered to make sure that you achieve an even blend and can easily process any ingredients. There is also a safety switch you can find on the base that makes sure your pitcher is on and assembled properly. The Noise Dampening base of this blender makes sure you get a nice, quiet experience when using the machine. It is a shock absorber, sound proofer, and all around good buffer against noise produced when the machine is in use. Cleaning this blender is a breeze-all you have to do is put a drop of your favorite dish soap inside the blender jar along with some warm water. Put the lid on it and turn it on, let it run, and BOOM-your blender is now nice and clean, ready for the next use. It is worth noting that the blender jar itself is a good quality Tritan 75-ounce jar-perfect for a large family. Perhaps the most important feature of this great blender is that customer service is taken seriously. Aside from being certified by the FDA, this company encourages customers to contact them if any issues, questions or concerns arise while using the blender. This gives all of us peace of mind. Different colors available to match your kitchen’s decor. Commercial-grade power just as you would get at a smoothie bar or cafe-for a consumer’s price. Some consumers found the recipe book and instruction manual hard to understand. It was written in another language and translated to English, which made for some confusion. This blender is rather large. Be sure to check dimensions and verify that the blender suits your counter space. Hot foods place into the blender cannot exceed 194 degrees Fahrenheit. Be sure to take temps of foods you would like to blend before placing it inside-especially when making soup. 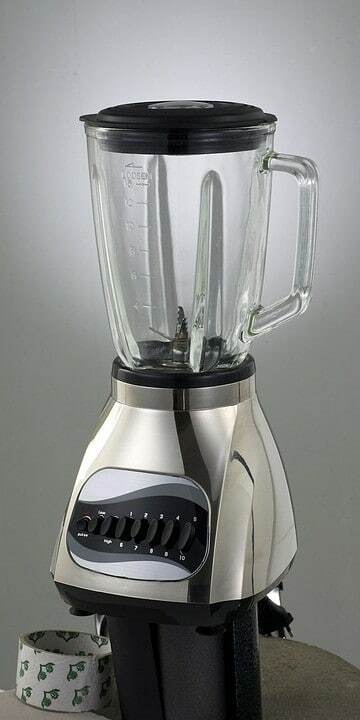 Here is a blender that combines a great value with supreme power. One thing I really like about this particular blender is that it is highly rated among consumers, and features a nice price everybody can afford. 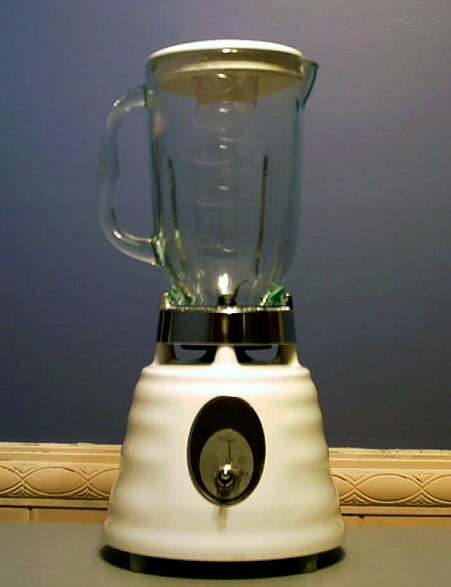 First things first, this blender features a glass blending jar. This is nice as some folks do not believe in drinking out of plastic cups, and others believe that having a glass blending pitcher looks more stylish and classy. The blending pitcher is dishwasher safe for an easy time cleaning up. Another neat thing about this particular blender is the cord storage. 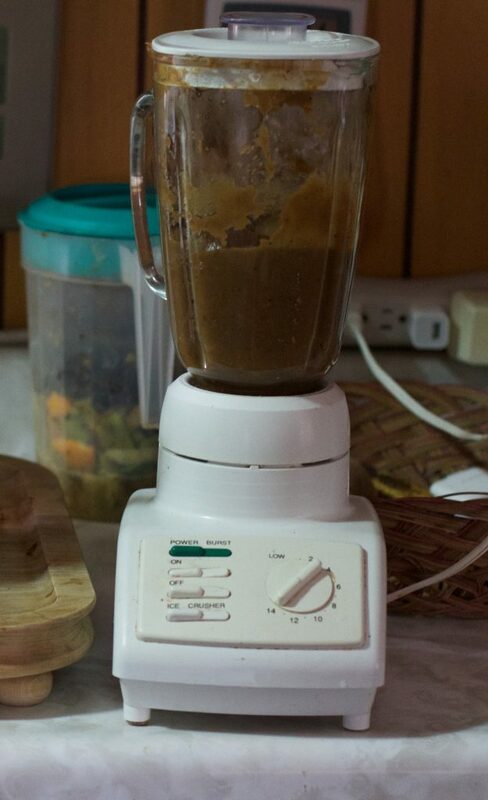 When you are not using the blender, it rolls up neatly into the base for an easy time storing it. All the Hamilton Beach Glass Jar blenders use what is known as the patented Wave-Action system to bring you and your crew the finest smoothies, milkshakes, and frozen beverages. You will get smooth and evenly-textured drinks with no lumps, bumps or chunks to slow down your enjoyment while you sip. There will certainly be no pesky ice chunks in your drink, either. No matter what you use it for, each and every home cook will find joy in using this Hamilton Beach blender. You can use it not only to mix up drinks for a get-together or party, but you can also use it to make some delicious soups or batters with little effort. 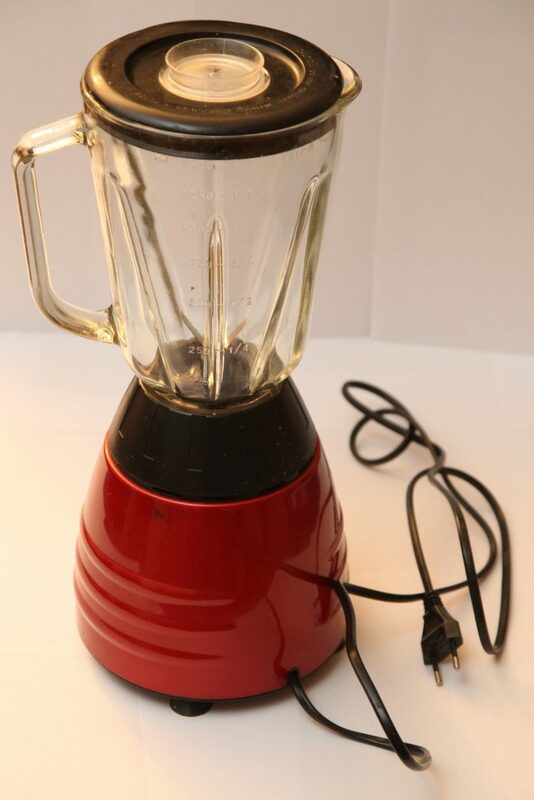 The features included with this blender are numerous. First and foremost, there is the great glass blending jar. That has a hefty capacity as well as clearly marked measurements and a handle that is easy to hold for pouring and serving. Some other great features include Ice Sabre blades that cut through ice and frozen foods like it’s soft butter, the power to mix, dice, puree, crush ice, and of course, blend, and 14 different blending functions. 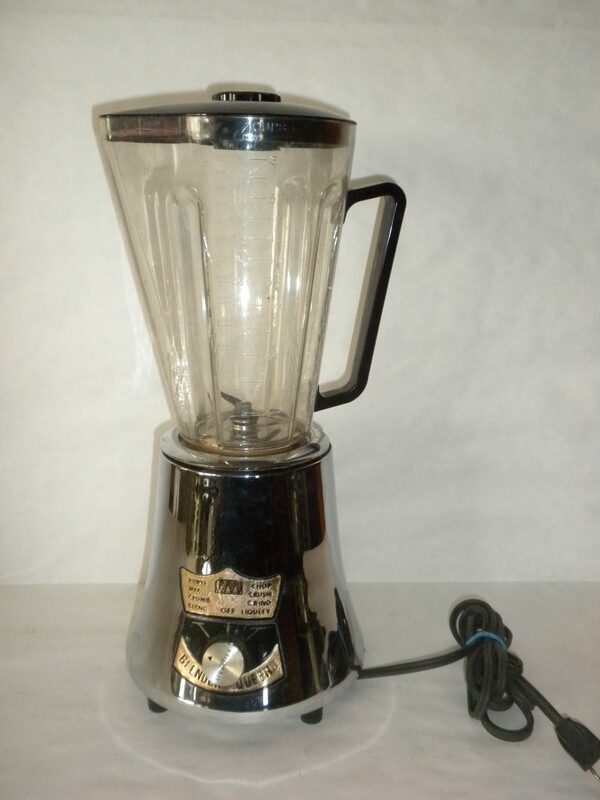 This blender does come in last on our list of power at only 700 watts, so do keep that in mind. The jar itself is very nice and sturdy but does hold only 40 ounces of liquid. The spout on top of the blender is mess-free and patented, so it is a unique design that will make your serving experience much easier. The motor is durable and tested to perform well over the course of making 8000 frozen drinks. And best of all, everything is dishwasher safe (except the motor, of course). The blender is backed with a three-year warranty for a safe buying experience. This is a great value for the price. It is the lowest price option on our list and makes a great appliance for your kitchen. It is not as big as other blenders, it will fit neatly on your kitchen counter. It is only about 15 inches tall, after all. Glass jar looks great and is easy to clean in your dishwasher. Does not process foods as well as some blenders, according to customer reviews. If you have a family member that must have their food processed, you may wish to look elsewhere. Blender is not very quiet, stated one customer. The blender also puts out only 700 watts. Blender does not have the option of single-serve cups as some of the other models we covered have. So, have we made you thirsty yet? If you are craving a delicious smoothie, shake, or even a frozen mixed drink, now is the time to act on your cravings and pick yourself up a nice blender today. Do it for yourself and your good health and do it so you can wow your friends and family with tasty beverages at the next family get-together. No matter what it is you are looking to accomplish with your blender, you can certainly do it with ease when you use any of our products that you have seen here. These are just a few of the finest frozen drink blender, and as you can see, they all have their advantages and disadvantages. Make sure to look at several different models as you make your selection. You will want to look at the blender jar size, as this will ensure you can make enough drinks for your whole crew. You will want to measure your kitchen counter space, as well the space between your kitchen cabinets and the counter so that your blender can fit easily up there with no worries about space or lack thereof. You also must consider the amount of usage for your blender-will you be a heavy-duty user, making multiple shakes and smoothies a day, or will you be an occasional user? Those who use it each day, multiple times a day, will want to seek a commercial-grade blender like the Aimore. But those of you who just want a blender that can make up the occasional smoothie or milkshake might do well with the Hamilton Beach. Just consider what it is you seek in a blender and decide from there. So, go out there and get ready to make the best beverages ever with these great choices. It is up to you to decide which is the best blender for ice & frozen drinks. No matter what, you and your family will certainly be happy with the results. Grab the ice and the fruit, and happy blending!